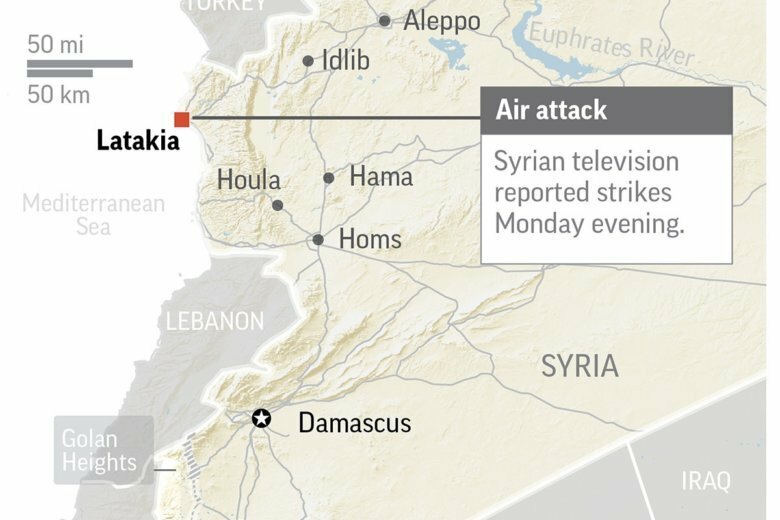 DAMASCUS, Syria (AP) — Loud explosions shook Syria’s coastal province of Latakia late Monday, sending orange flames into the sky in what Syrian state media said was an Israeli attack on a state company for technical industries that injured 10 people. Al-Ikhbariya said all two of the injured were hospitalized and the rest were released after treatment. The Britain-based Syrian Observatory for Human Rights, which initially reported the explosions, also reported 10 wounded, saying all of them were soldiers and some were in critical condition. Israel is widely believed to have been behind a series of airstrikes mainly targeting Iranian and Hezbollah forces in Syria that have joined the country’s war fighting alongside the government. Israel rarely acknowledges attacks inside Syria, but has said it will use military action to prevent weapons transfers to its enemies. Earlier this month, an Israeli military official said the Jewish state has struck over 200 Iranian targets in Syria over the past 18 months. U.S. and Israeli officials have said that Iran and Hezbollah should end their armed presence in Syria. Israel says it will not tolerate Iran’s growing presence in Syria.